Rummy is one of the most famous games in the world. 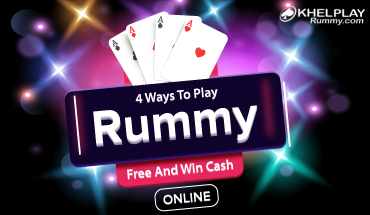 Many rummy online free gaming websites and rummy game apps let you earn real cash prizes. Many individuals even play rummy to earn a passive income. Since you can earn money only after winning, you ought to have a strong strategy that ensures you never lose. Other than knowing the basic rules and tons of strategies there are core tricks to help you win the game most of the times. 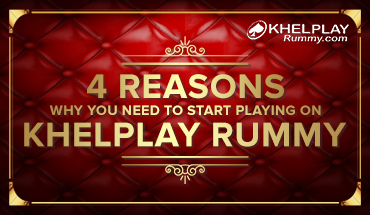 In an attempt to help you perfect your gameplay, we have listed top 5 tips to not lose money in rummy. As soon as you get the cards in your hand, make sure you group them on the basis of sequence and sets. When grouping, your priority should be to try and make pure sequences because the main objective of rummy is to make at least 1 pure sequence. If your cards are well arranged, you will play with caution and avoid throwing cards that are essential to form a pure sequence. Also, the cards that are of no use to you can be arranged together. It can help you discard unnecessary cards correctly. It’s a smart thing to know your cards, but it’s smarter when you know the cards your opponents have. Always observe the cards that your opponent is picking and discarding. This will help you predict the cards other players hold and accordingly you can ensure to not throw the cards that can be useful to your opponent to make a pure sequence. Very often, the role of a Joker is misunderstood and not utilized fully. A Joker card can be used to make the melds that will help reduce the points. So, if you have already formed a pure sequence, add wildcards or Jokers in card sets. This way you can reduce the points even if you lose the game. Your gameplay might not always work, especially if you have players more skilled than you as your opponents. In such situations, it’s wise to not lose calm and use your plan B strategy. You never know, this plan will chart your path towards victory. It’s not wrong to give up. In fact, a good rummy player is one who senses well in advance that the game is not going in his/her favor, so it’s best to wrap up the game. Hope these easy-to-follow tips help you win on a rummy table next time you play the card game. Do let us know which one worked best for you in the comments section below. This was a fun blog. I love to play rummy and blogs like these help me work on my skillset. I like that it offers an in-depth knowledge of common errors that could lead to losing a game. Especially the last point on dropping at the right moment. Most rummy players are so afraid to give up and view it as a thing that losers do. But giving up at the right time can actually be beneficial and indeed a smart move. Thanks for this post. It is really insightful; particularly points like Arrangement of cards in your hand, Keep a sharp eye on your opponent, and Misusing the Wildcards or Jokers. Whenever I play free rummy for real cash prizes, I shall pay particular attention to these pointers. Also, the post is well written in simple English, so kudos to that! 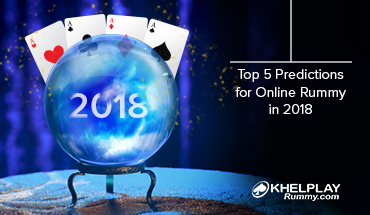 All rummy players, beginners and mediocre ones especially, must read this blog. I am an avid rummy player myself and read a lot on it since it helps boost my knowledge and improve my gameplay. I know a lot of my folks who could benefit from this post, so I am sharing this on all social media platform.